The key to scientific development today is not only to generate knowledge but to share it. Thereby, the project RIHPE is created as a space where researchers and groups with the same interests can come together, share resources and promote knowledge on the topics of nursing history and nursing thinking. RIHPE is configured as a thematic Net whose main aim is to sustain a fluid communication between different groups with similar objectives, and to stimulate a close cooperation towards the effective increment of knowledge production. -Because there is a growing interest in nursing history due to its capacity to explain present expressions of human care. -Because, despite the existence of researching groups which provide substantial knowledge on the history of caring, it is necessary to offer spaces that promote communication between them, in order to get over limits and difficulties derived from a fragmented perspective of history, and generate a new culture based on the principles of cooperation, knowledge exchange and sharing resources. -Because it is necessary to build a global picture of both nursing history and nursing thinking from the development of transcultural analysis and the establishment of consensus on common areas of research. -Because, due to the wide diversity of paradigms and theoretical models accepted by the international scientific community, it is essential to establish an interdisciplinary dialogue for the development of the history of caring. -Because, as nursing history and nursing thinking hold unequal degrees of socialisation within the academic context, there are many researchers working voluntarily and independently, who may need the support of an organisation which actually promotes a cooperative framework where to develop their labour adequately. -Because despite the influence of new technologies, which are affecting general knowledge management, the history of caring lacks some tools and resources such as databases or editorial supports, which could assist the process of knowledge generation and dissemination. -Because it is necessary to enhance history of nursing’s cultural patrimony so the society can fully understand the value and importance of the activity of caring. Which are RIHPE’s main objectives? -To define and develop research’s global dimension on both nursing history and nursing thinking, within every specific discipline and perspective, and through the establishment of a close cooperation between institutions and professional groups. -To create a favourable environment where knowledge on history of caring and nursing thinking can be extended, through the comparison between disciplinary trends and dominant systems existent within different scientific and cultural contexts. -To promote a cooperative relationship between associated groups and centres on line based on the ideas of information and resources exchange, and development of common projects. -To allow access to either public or private existent documental databases on history of caring, developing strategies to centralise and exchange information. -To promote the assessment of cooperation and innovation’s quality within research projects and educational programmes related to history of nursing. -To encourage the creation of forums, which enable the establishment of discussions and an information exchange amongst researchers, scholars and managers. -To support the development of international programmes for the promotion of research and education. -The creation of a website accessible to associated members, which contains a wide diversity of sections devoted to forums, mails lists, activities, working sessions, etc. -The elaboration of a catalogue which includes all the main areas of research followed by the groups that belong to the Net. -The maintenance of a catalogue which contains a relation of both researchers and research groups belonging to the Net. -The creation of bibliographic database specialised on both nursing history and nursing thinking. -The foundation of an archive based on the history of caring that contains historical documents with a modern production, and which is fully accessible thought the internet. -The publication of an electronic journal specialised on both nursing history and nursing thinking. -The creation of a virtual museum which holds both permanent and occasional monographic exhibitions covering the topic of nursing history. -The organisation of scientific meetings and educational activities, either in person or through the internet. The Net has got an organisational structure made up of nodes and thematic groups that represent the institutions and groups associated either at an either territorial or disciplinary level. The nodes are made up of research teams established within a scientific or academic organisation. The thematic groups are made up of different nodes which have common objectives and strategies. Both nodes and thematic groups depend on a Node Coordinator that represents them, and whose mission is to represent the Net and to coordinate the strategy towards the accomplishment of the objectives planned. A three-year strategic plan, together with a manual for internal procedures, will guarantee a coherent functioning of the Net. The Fundacion Index (Granada, Spain) will act as RIHPE’s administrative headquarters and promoting entity, although it will be the webpage which will act as the project’s functional headquarters. 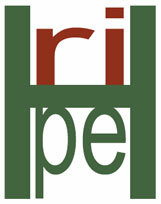 Who can become a member of RIHPE? a) Research groups appointed to university departments, scientific societies, professional associations or other scientific or academic institutions, whose main objectives and activities in relation to nursing history and nursing thinking have been clearly defined. In addition, a formal agreement, a cooperative framework, between the Fundacion Index and the institution that supports the project must be established (download agreement’s model). b) Independent researchers with experience within the area of nursing history. In this case, researchers can apply for registration with any of the existent nodes or thematic groups to the general coordinator of the Net. General conditions and regulations are established within the manual of internal procedures. Registration with RIHPE can be done from any cultural, disciplinary or local space. Which are RIHPE’s main resources? The Fundacion Index, as RIHPE’s promoter entity, devotes a percentage of its annual budget to the maintenance of the project’s basic activities (electronic journal, database, documentary archive, etc.). In addition, the Net is financed by public and private entities through different scholarships and research allowances, as well as by the development of its own activity. Finally, every group appointed to RIHPE manages the resources provided by the sponsors, as well as those obtained from other separate projects.